Small - $9.99 Medium - $14.99 Only 8 left! If you could spare a moment of your time, Jessicake would love to show you around the newly remodeled Cupcake Queen Cafe! Howdy, my fellow pastry pals and welcome to my Cupcake Queen Cafe. Pull up a seat where the sweetest treats meet and I will do my best to introduce you to all the yummy goodies we have available. Over here in the cooling area you will see rows and rows of delicious Sconnies. Yellow, frosted, and filled with strawberries, Sconnie is the dessert that puts a smile on everyone's face. Awaiting their colorful sprinkled coating, you'll see D'lish Donuts popping out of the oven. Birthday Betty is waiting to have her candles blown out in our party room, while Lana Banana Bread is hanging out with her bestie, Kooky Cookie. Grab a bite to eat and enjoy your time here because life's always sweet in the Cupcake Queen Cafe! Are you and your daughter thinking about making a trip to Cupcake Queen Cafe for some scrumptious desserts? 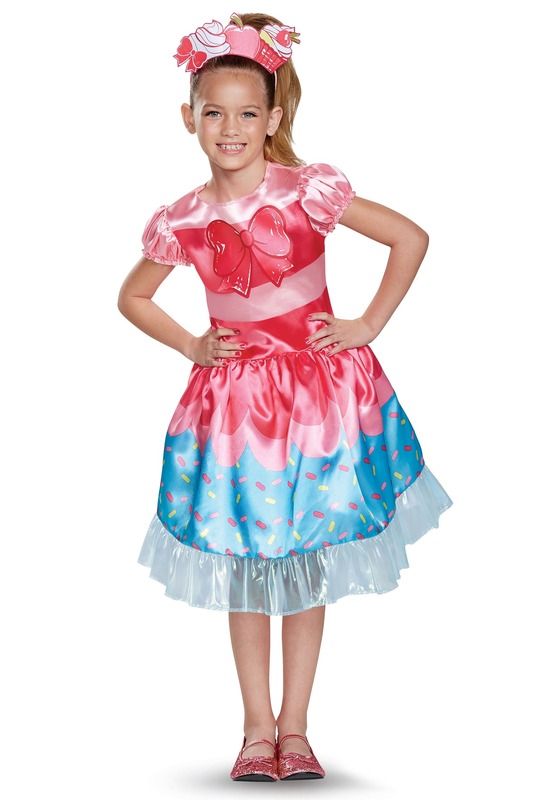 If so, she'll love dining with her most treasured Shopkins while she's dressed as her favorite Shoppie Doll. 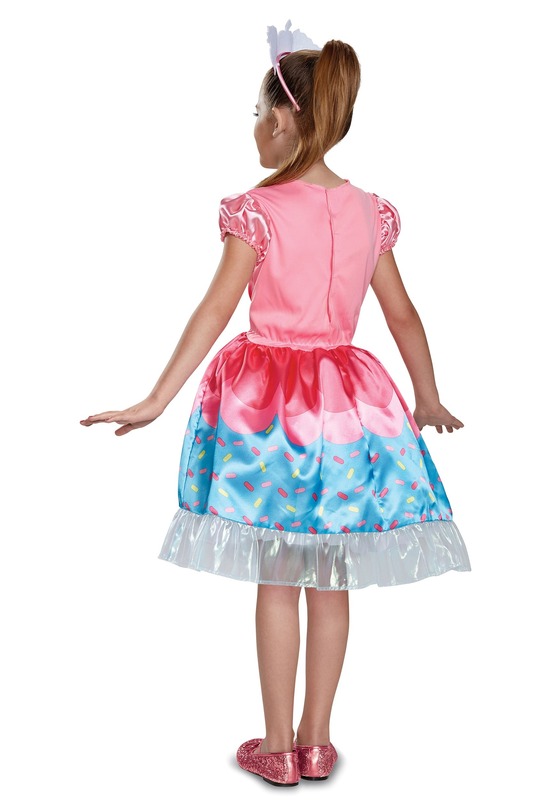 This Jessicake costume will give your little girl a delectable look, outfitting her in a shiny dress featuring pretty pink and light blue pastels. The puffy sleeves and billowy skirt will make her look like a cute sprinkled cupcake, while the headband will give her a cartoony appearance. She'll love dressing up and dining in with her Shopkins and guess what, Mom? You're the guest of honor!